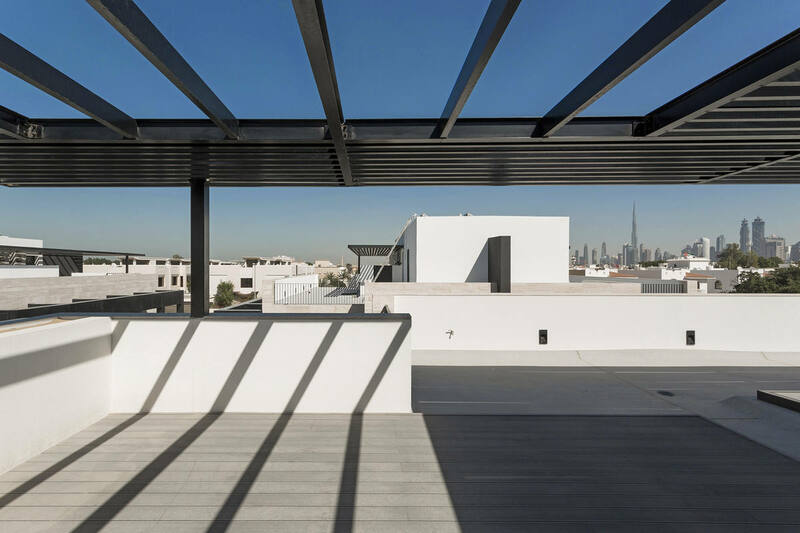 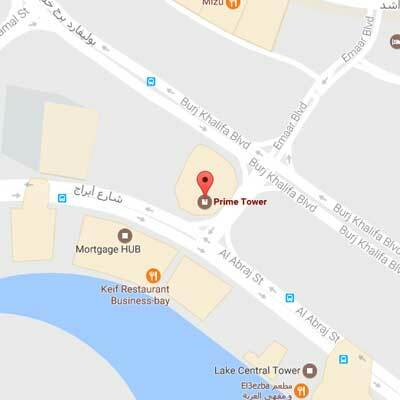 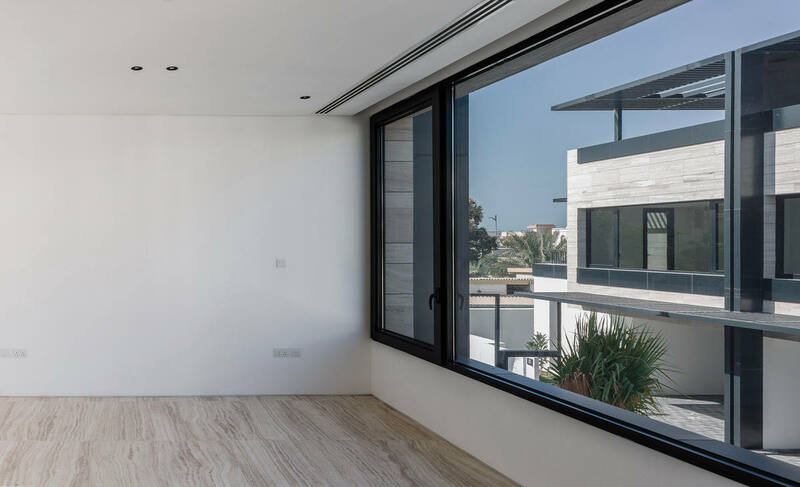 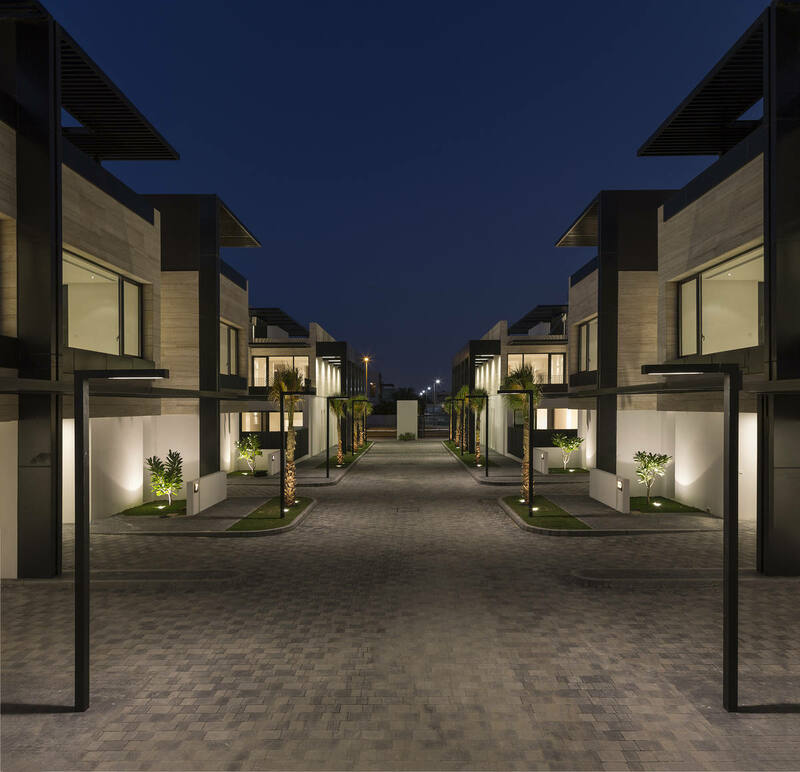 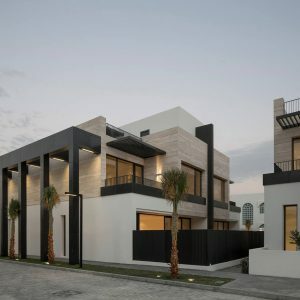 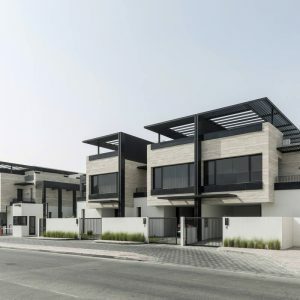 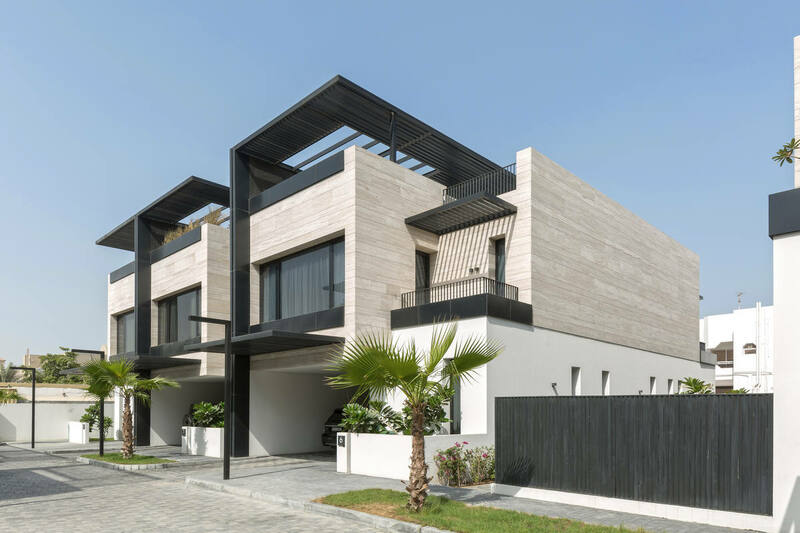 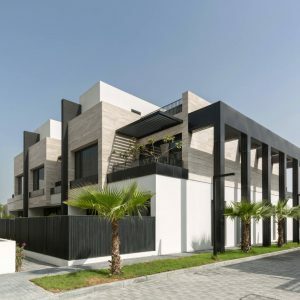 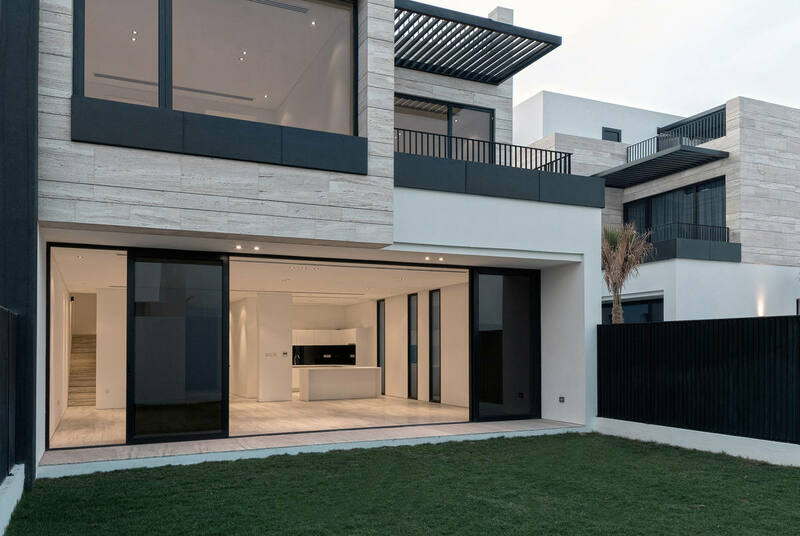 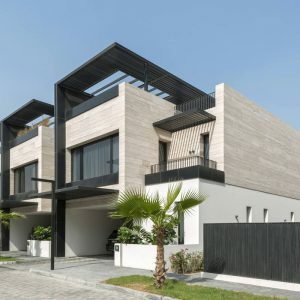 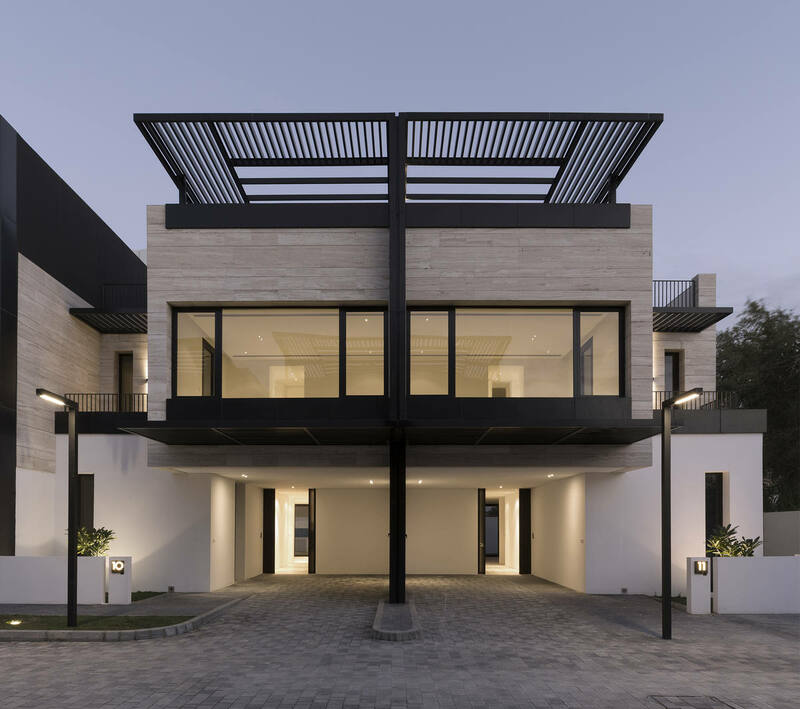 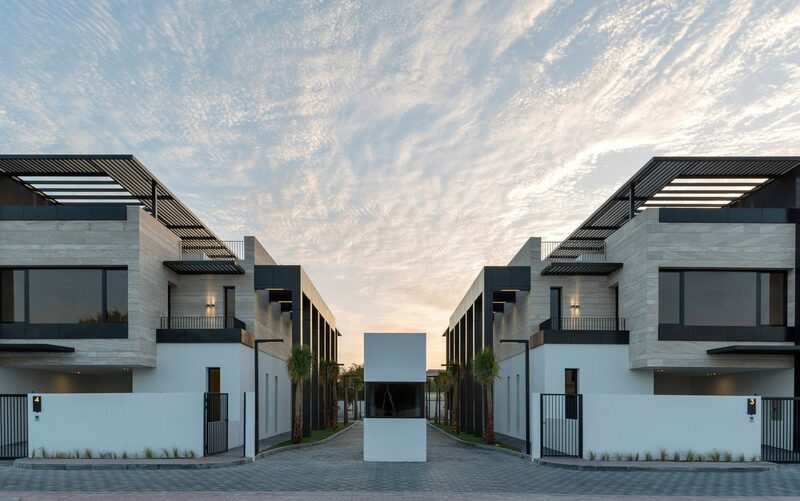 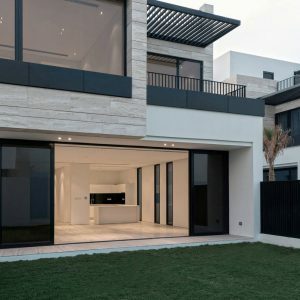 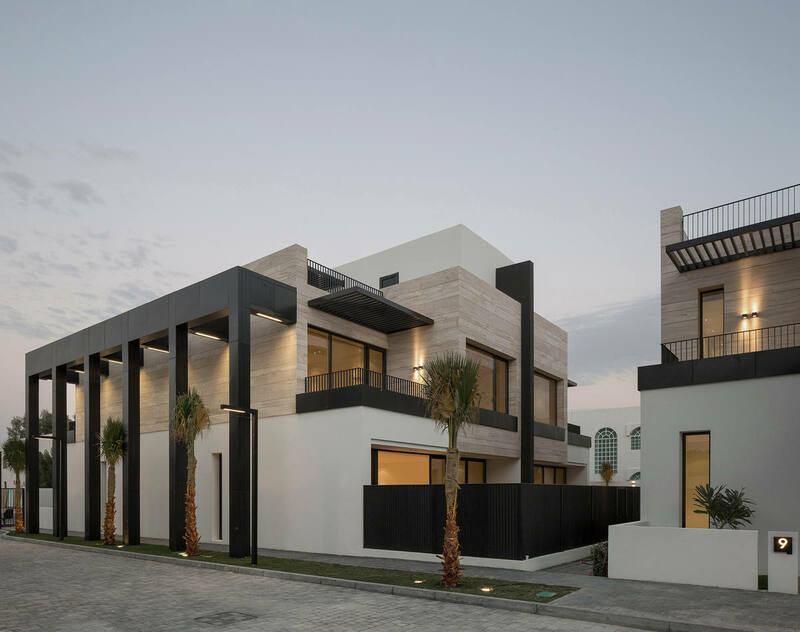 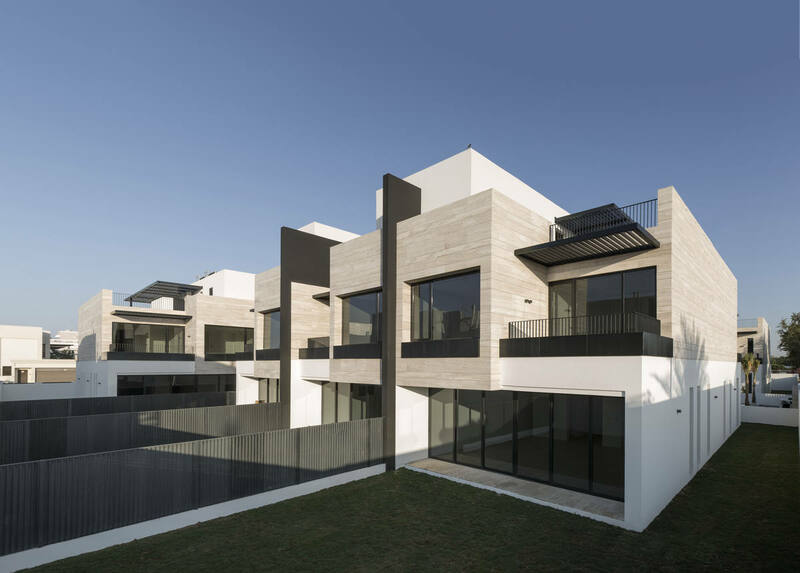 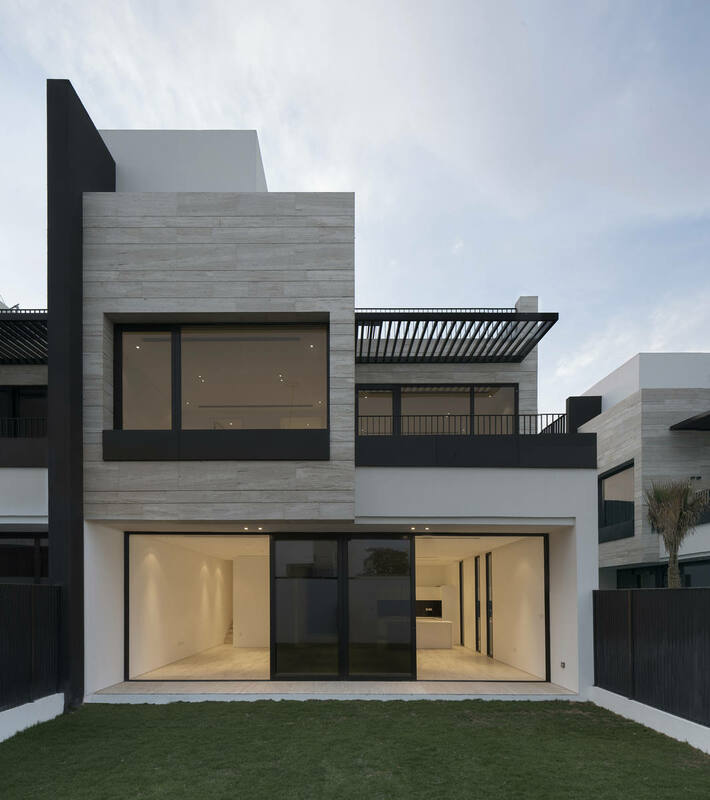 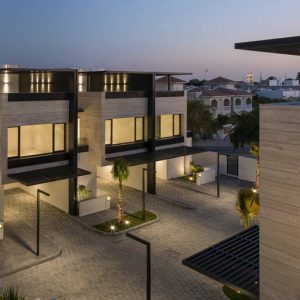 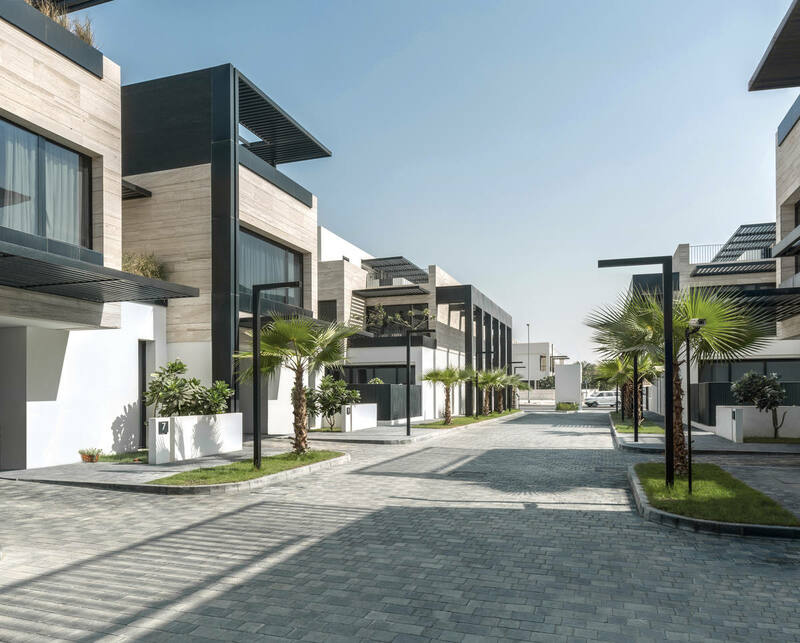 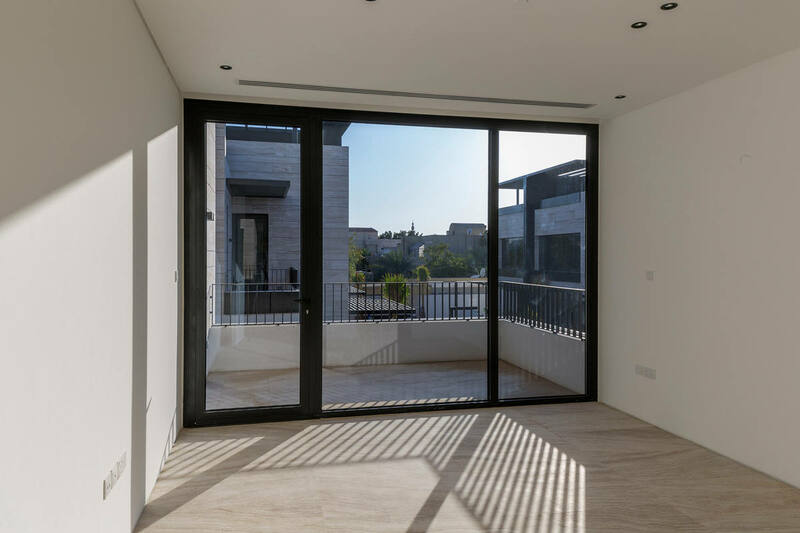 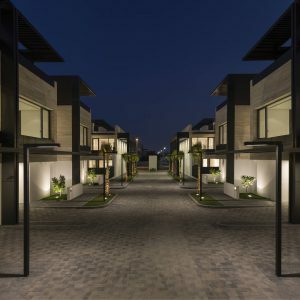 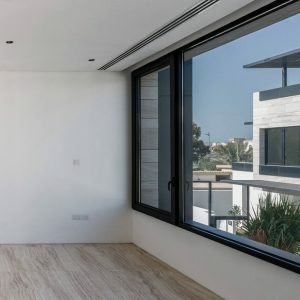 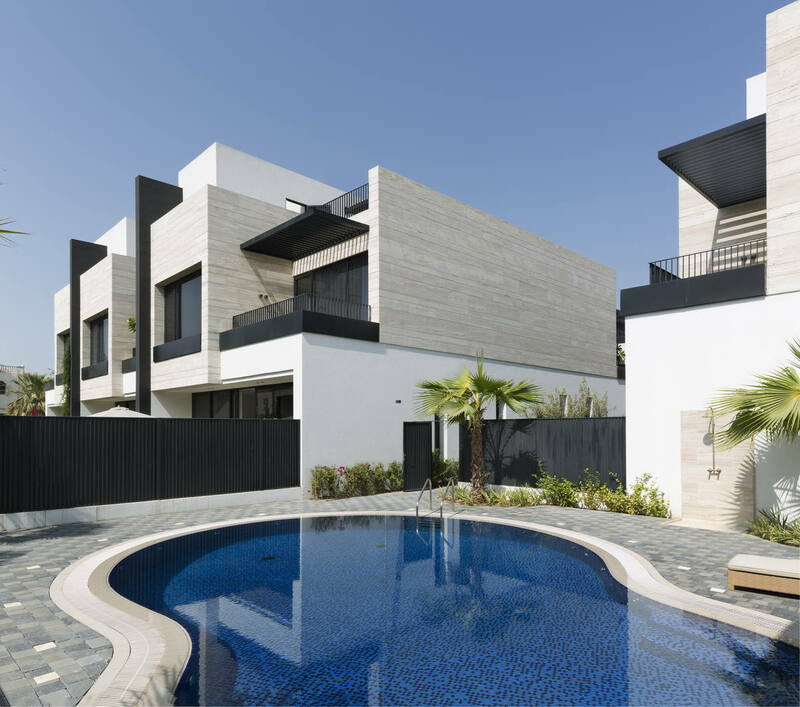 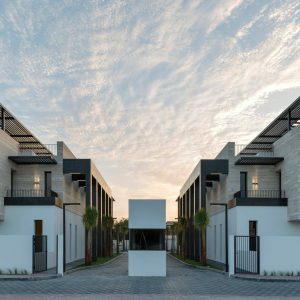 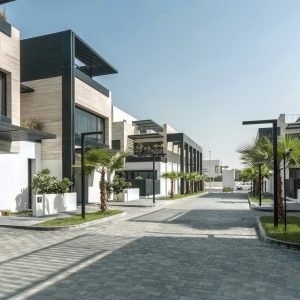 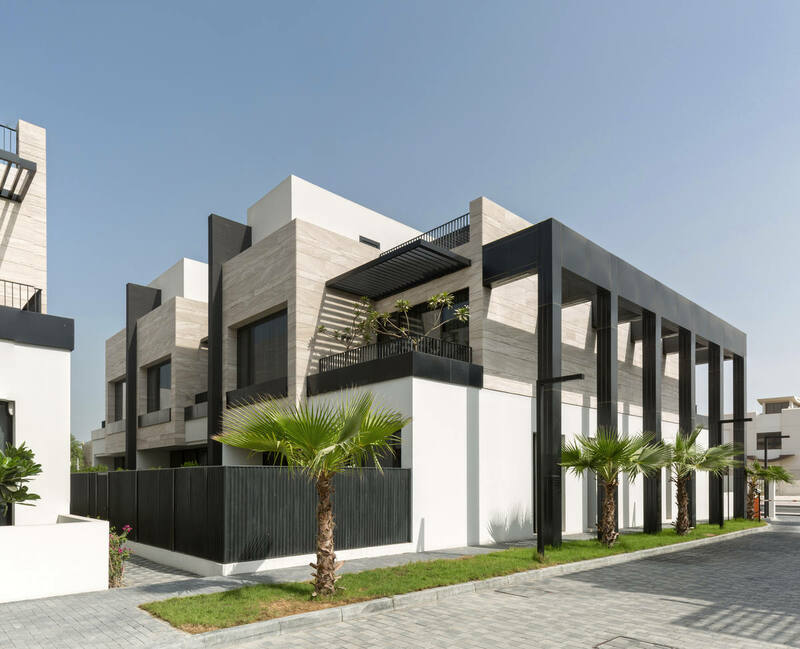 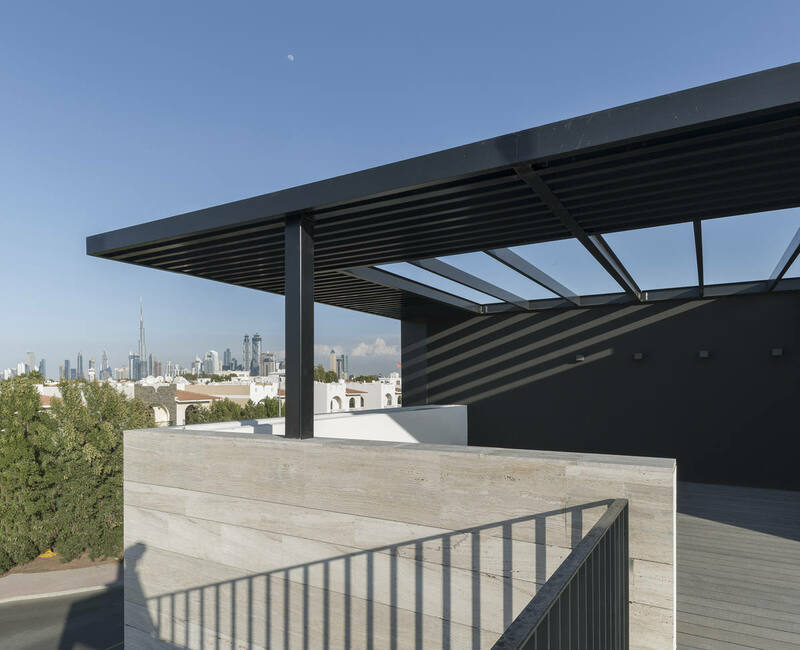 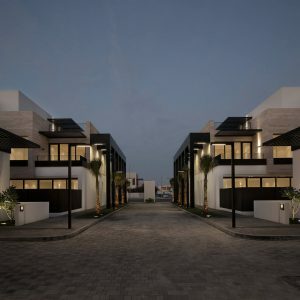 Located in close proximity to the beach the Townhouse C#1 project in Jumeirah, Dubai offers eleven family friendly semi-detached villa units, each 380sqm BUA and common facilities such as swimming pool and gym totaling to 4,325sqm BUA. 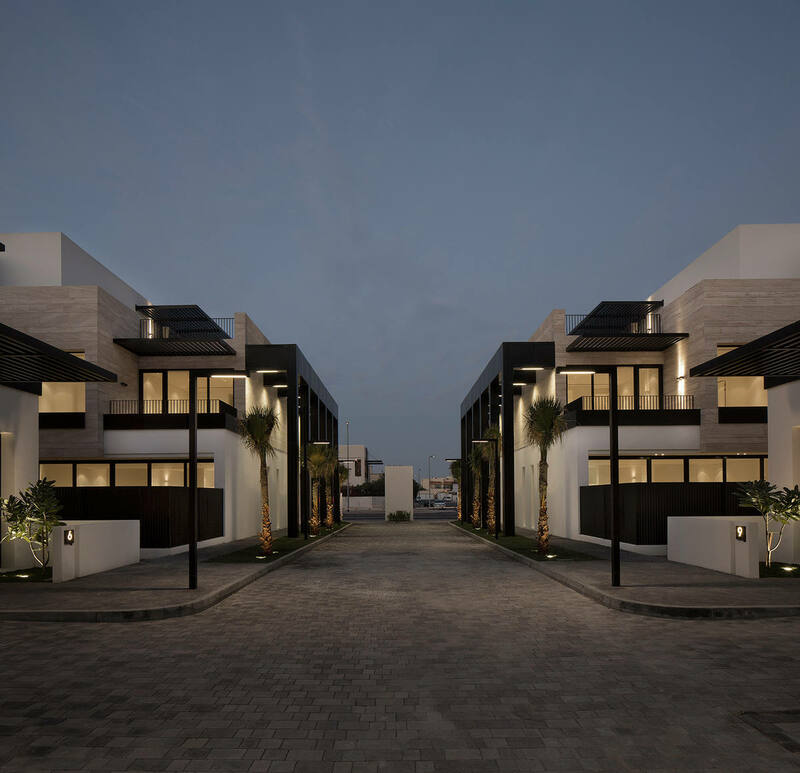 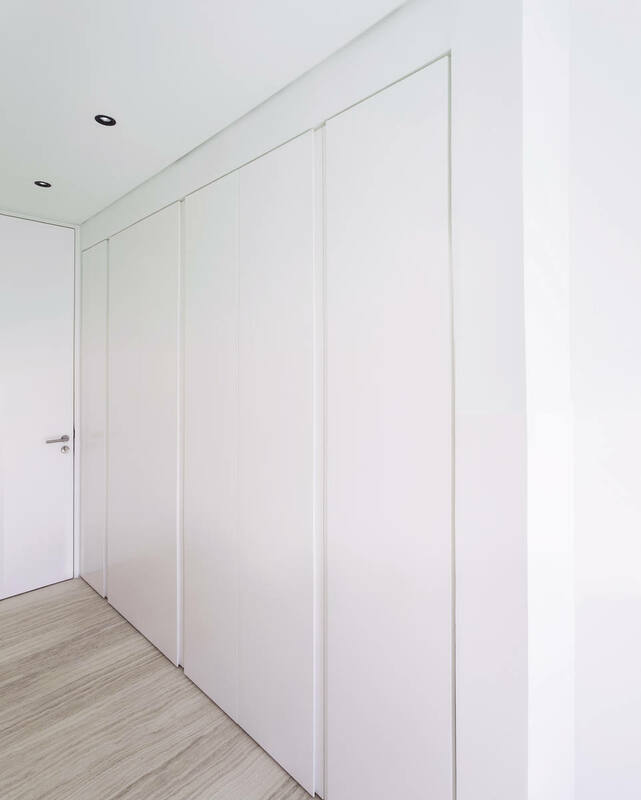 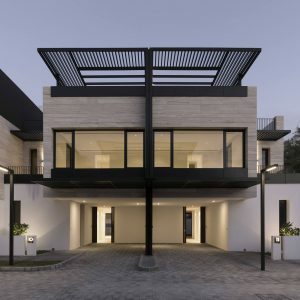 Four blocks of two and three units create a residential compound which offers both privacy and expedient community. 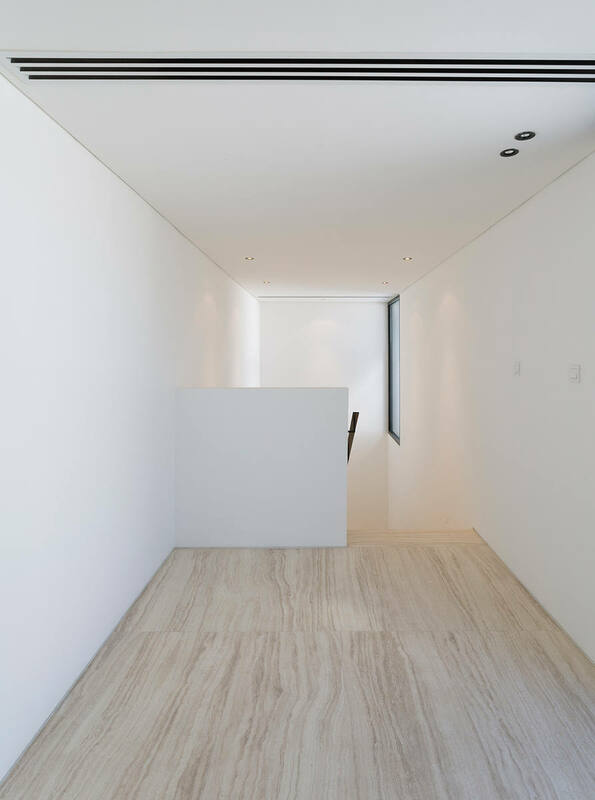 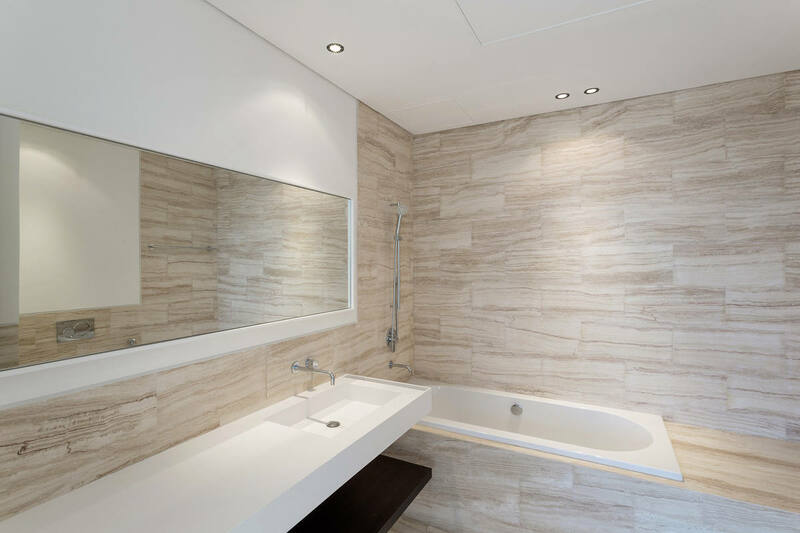 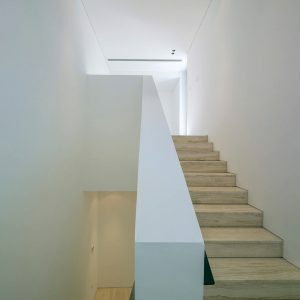 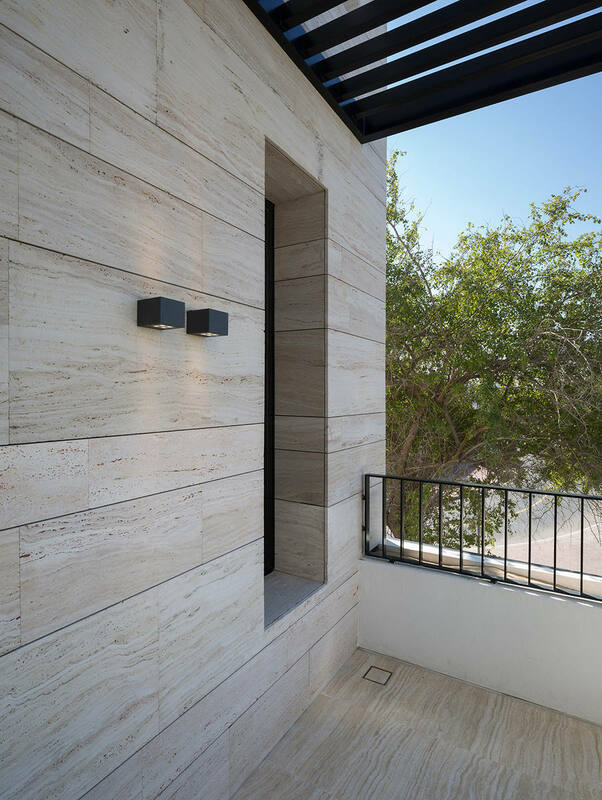 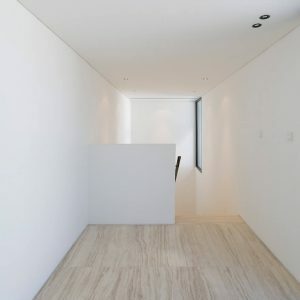 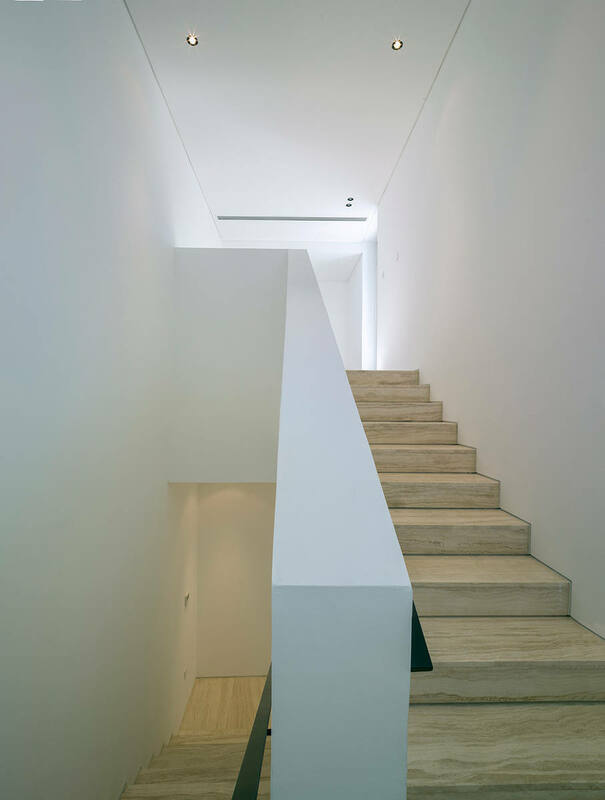 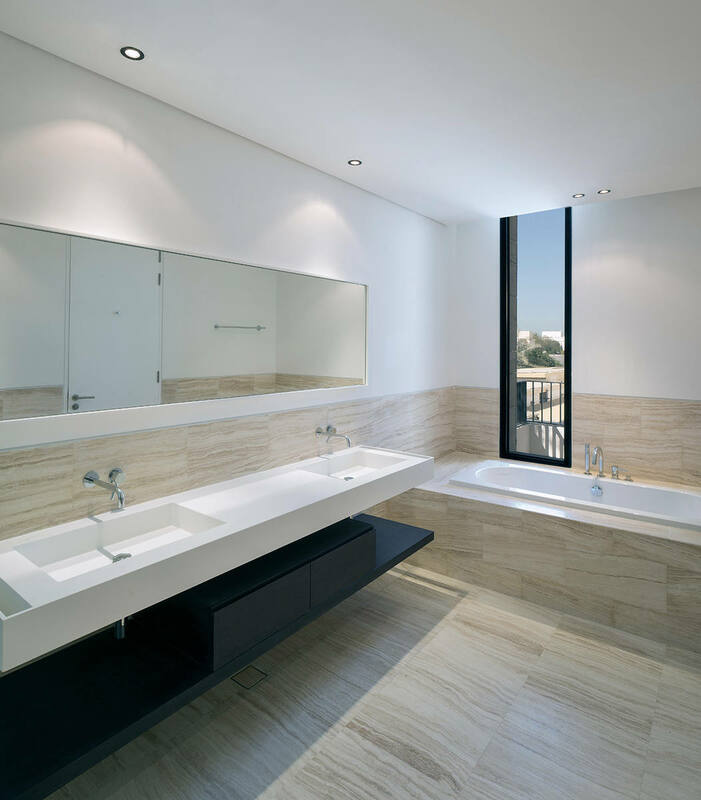 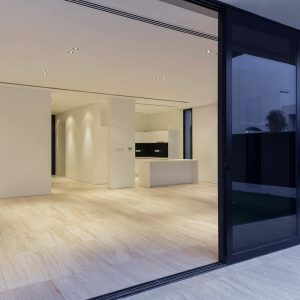 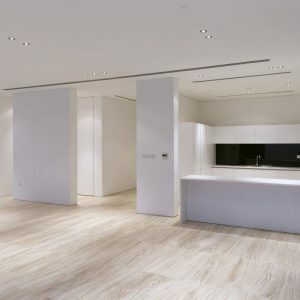 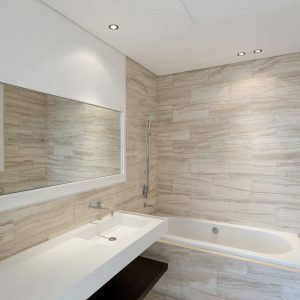 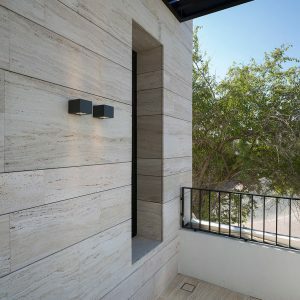 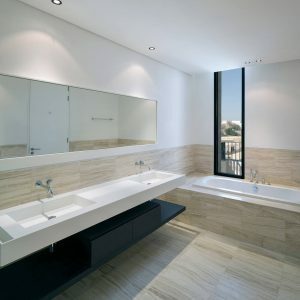 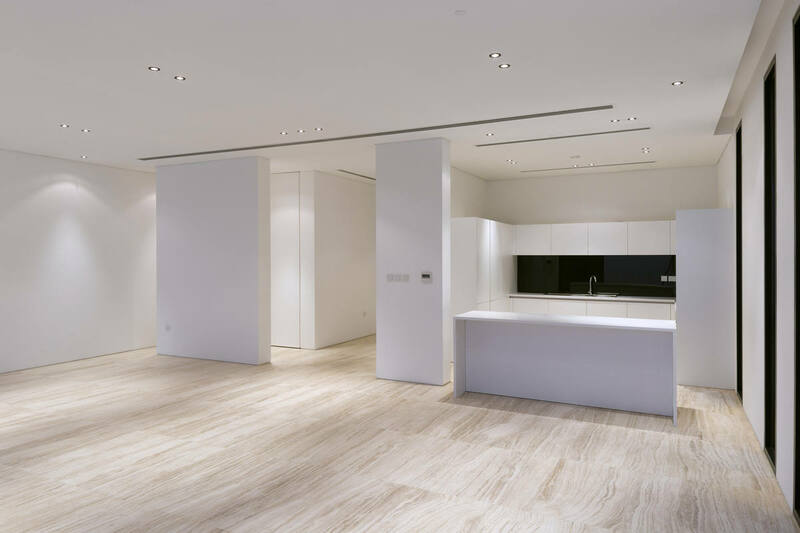 Natural travertine stone is used throughout the interior design as well as external façade. 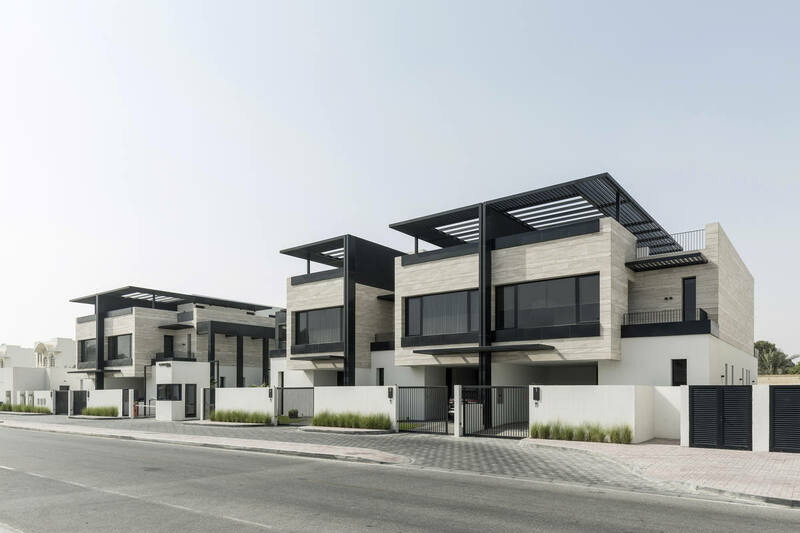 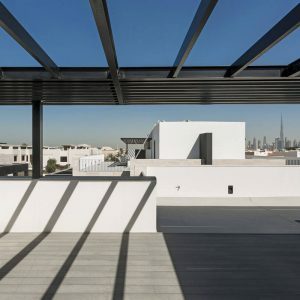 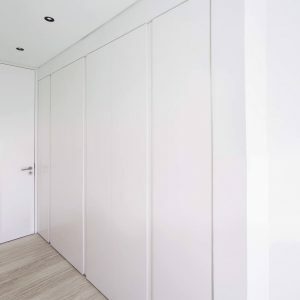 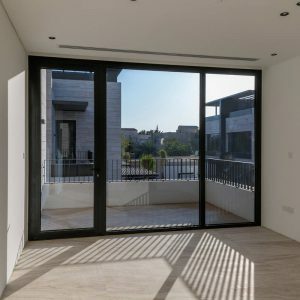 Additional sustainable design features include vast shading devices, extra insulated external wall and roof, recessed high performance windows and solar water heating system.